With Spring almost here, add some floral beauty to your next project with this free applique pattern! 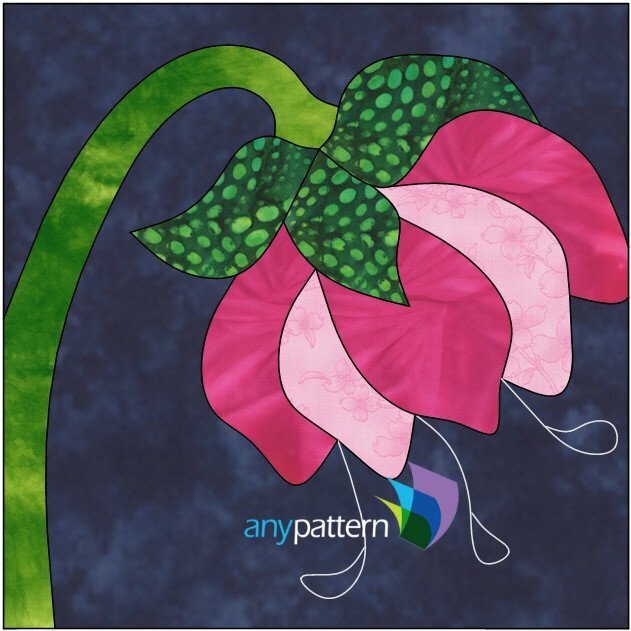 This design is by Sonya Fetch and is one of a set of floral applique she has created. If you have never explored anypattern.com, they have extensive listings of excellent patterns and projects. They also provide free printed instructions you can download for different methods for the applique process. Enjoy!